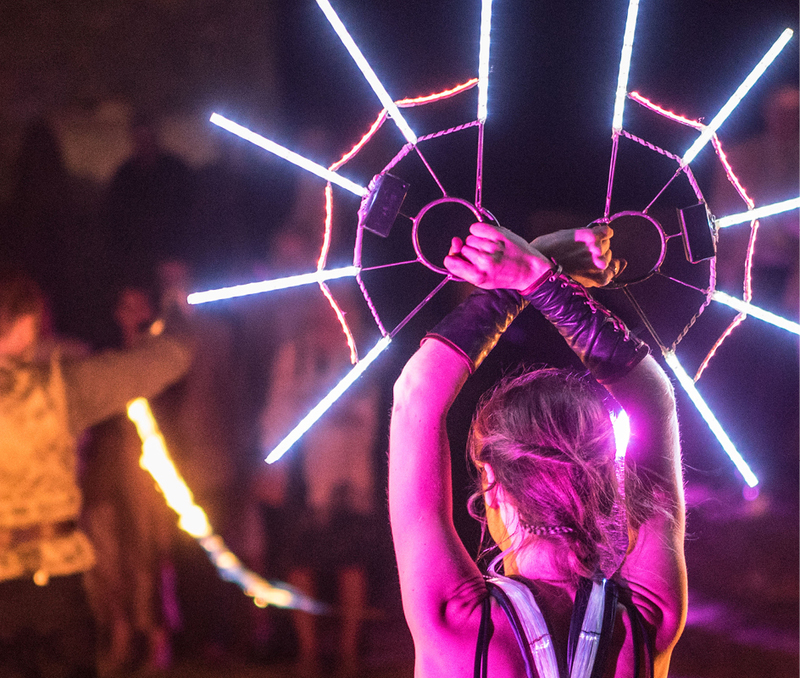 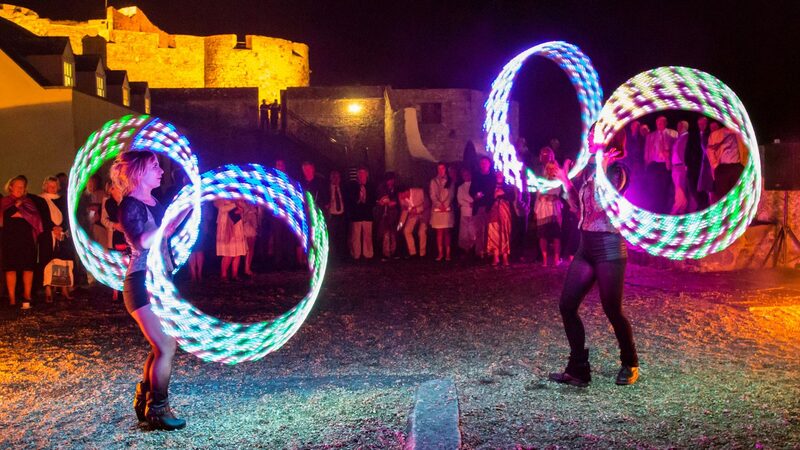 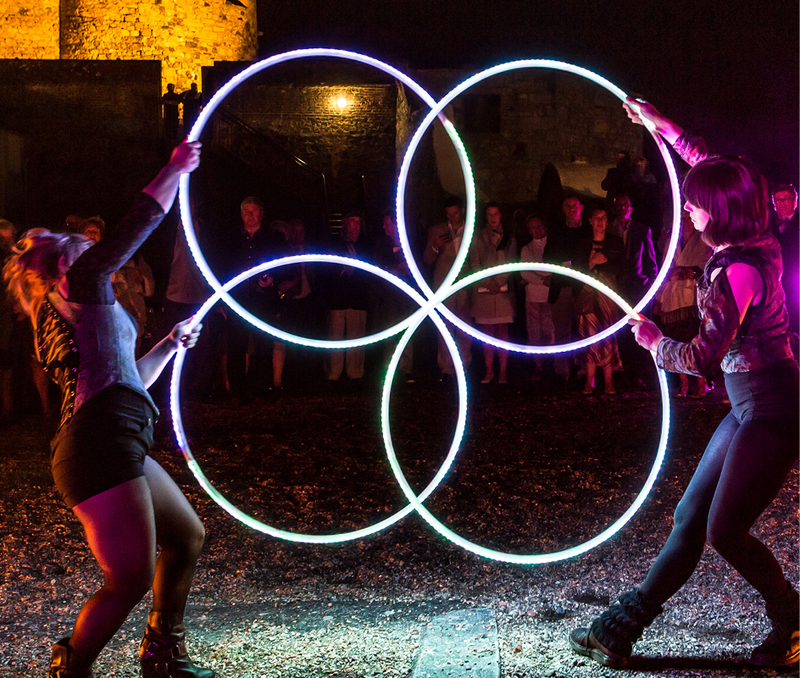 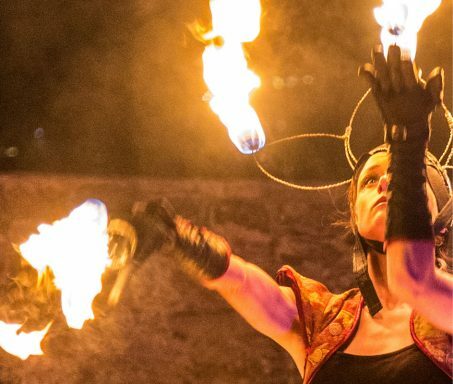 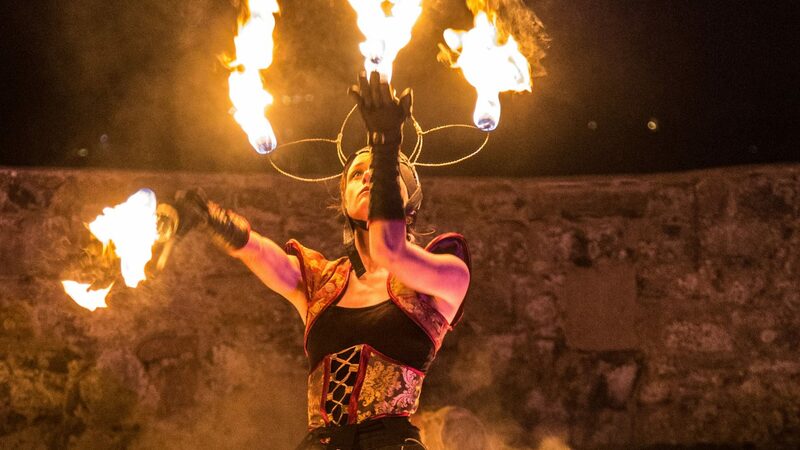 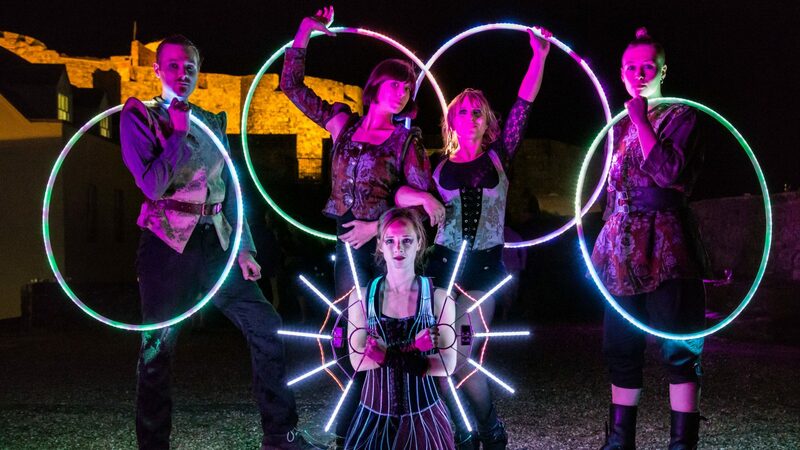 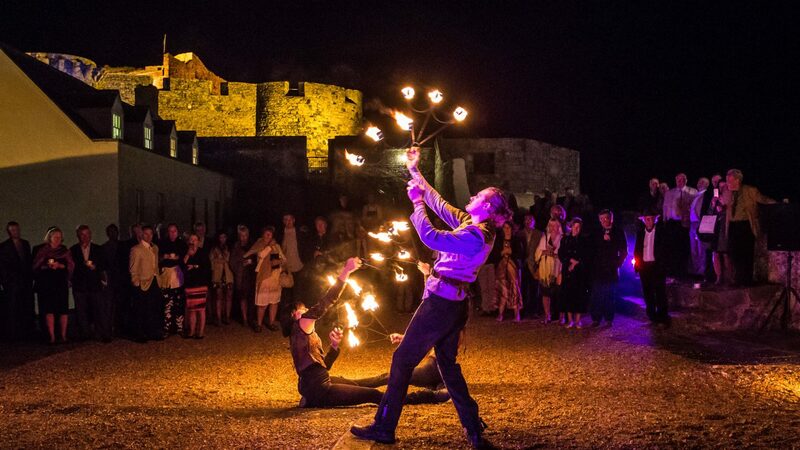 3rd September 2015: Chivaree Circus was asked to fly to Guernsey – one of the Channel Islands – to create a show to celebrate a 50th anniversary at the beautiful 13th century Castle Cornet. 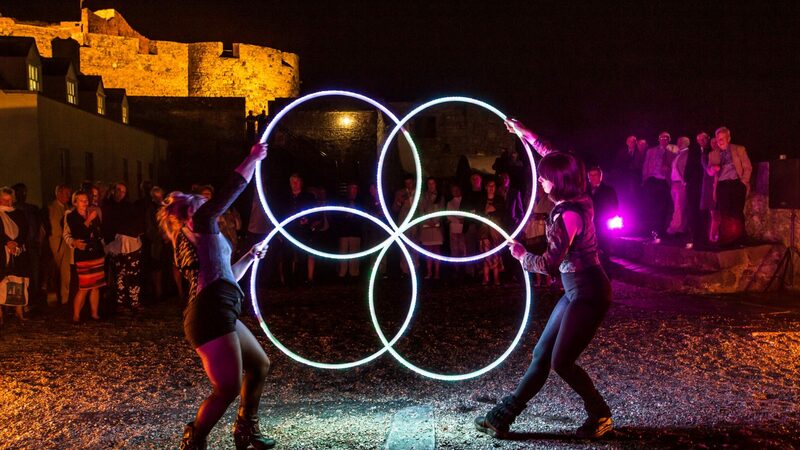 We designed 5 different individual solo acts that were to be performed at stations along the route to the top of the castle. 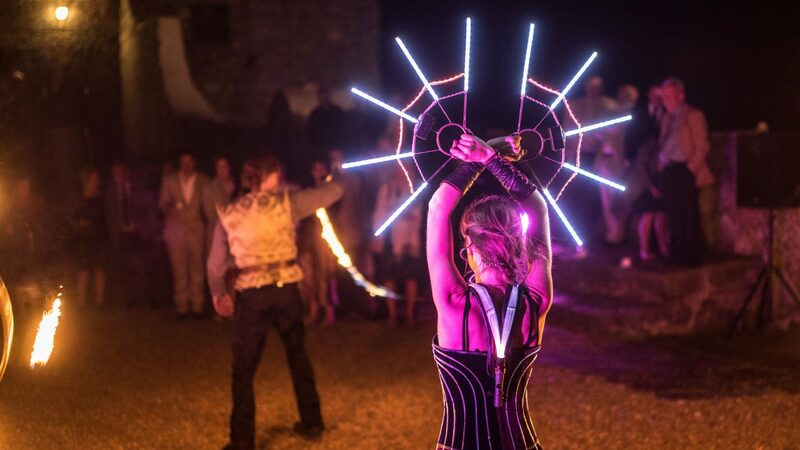 Later after dinner and fireworks we brought all of our performers together for a 30 minute show mixing fire and LED props and pyrotechnics. 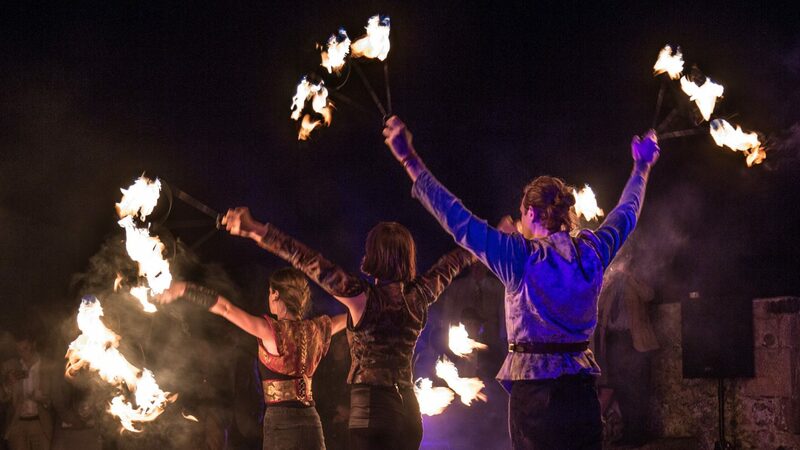 The show was designed to be a mixture of skills and to be suitable for a wide range of ages. 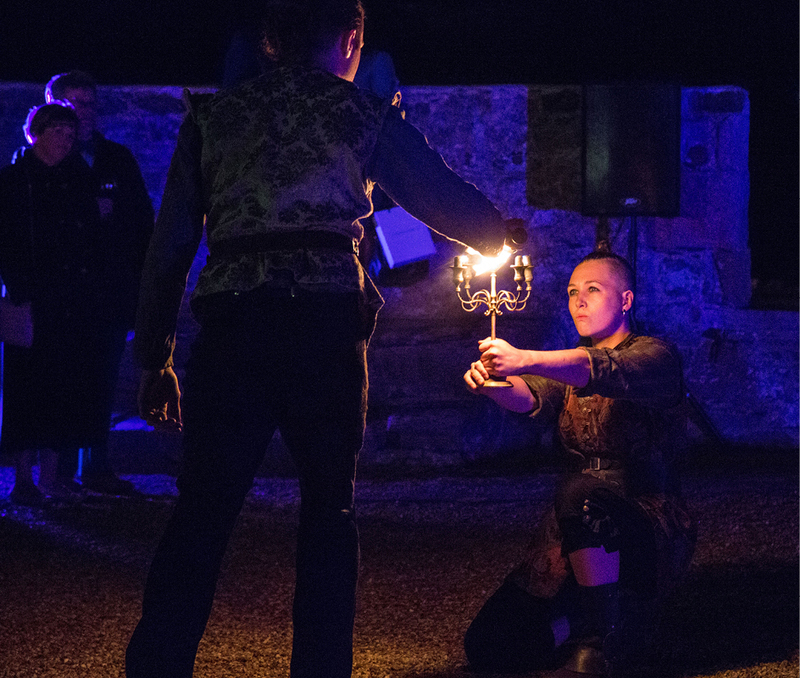 It had a musical progression that brought different moods to the show and elements of narrative tension. 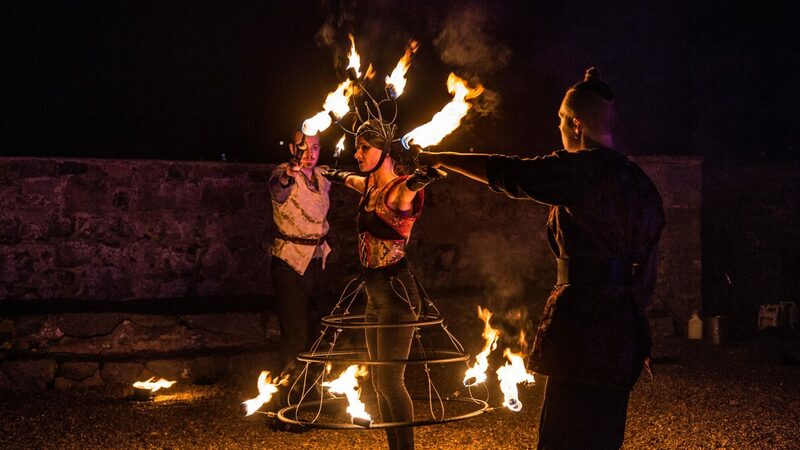 In the centre we used our custom fire dress that is lit with a performer in the centre. 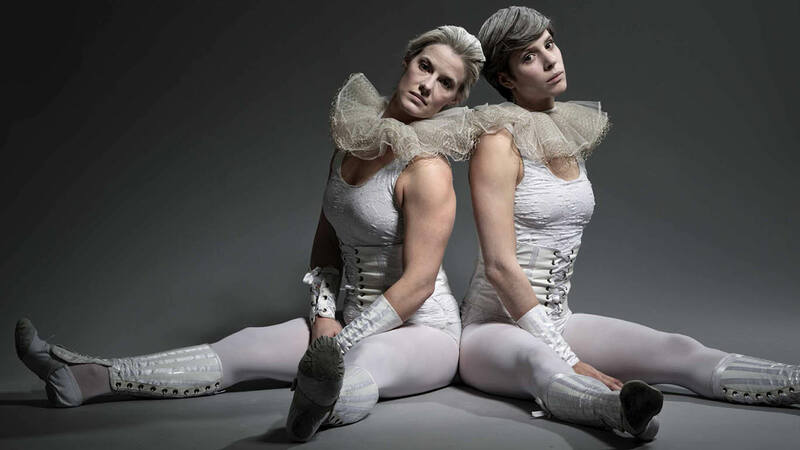 A lot of rehearsal went into the show to create partner routines with multiple performers working together on technical tricks. 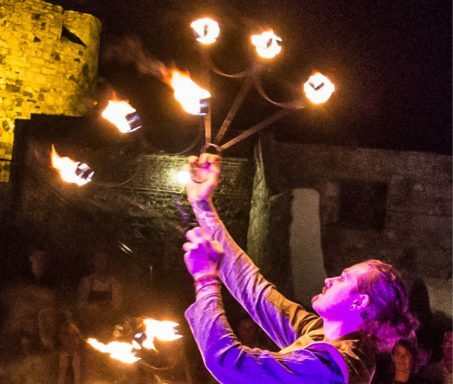 The feedback from guests after the show was very warm and it was wonderful to perform in such a beautiful historic building.